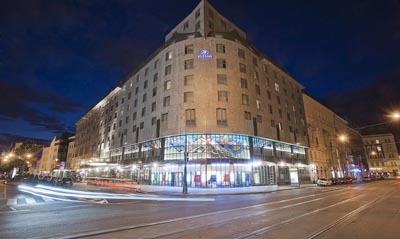 Welcome to our Prague Hotel Information page. Here you can find detailed descriptions of each hotel with room pictures and amenities information. The hotel offers 372 rooms including 32 suites. All rooms are equipped with mini-bar, satellite TV with movie channels, safe deposit boxes, parallel phone both in room and bathroom, iPod docking station, coffee/tee maker, iron and ironing board. Built in 1841, restored from 1888 until 1897, the luxury Le Palais Hotel is a striking example of Belle Époque architecture. The historic ornamental stucco and magnificent wall paintings help to create an unforgettable impression. A special atmosphere can be found in the spacious rooms and suites at our luxury hotel in Prague. 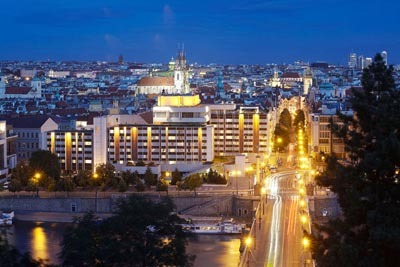 Stay in the heart of the city at the Hilton Prague Old Town hotel. Situated at the gates to the Old Town, the hotel is within walking distance to shops, restaurants, and attractions. The city’s landmarks, including Old Town Square, Wenceslas Square, and Charles Bridge, are a ten-minute walk away. Enjoy easy access to public transport from Namesti Republiky metro station and Main Train Station, located steps from the hotel. 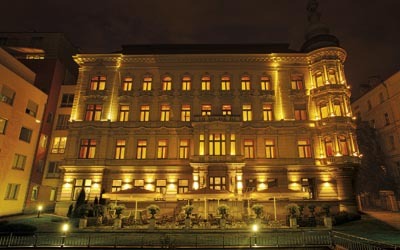 Václav Havel Airport Prague is a 30-minute drive away from this central Prague hotel.